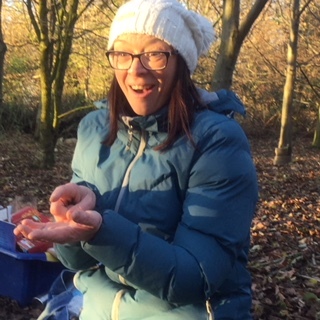 Aleysha is our Forest School Lead Practitioner. 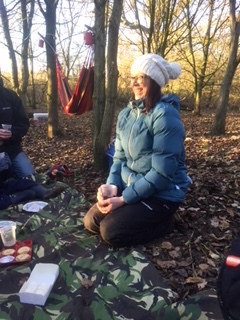 Aleysha holds a Level 3 Forest School, lead practitioner qualification (one of the requirements to run a Forest School Group). 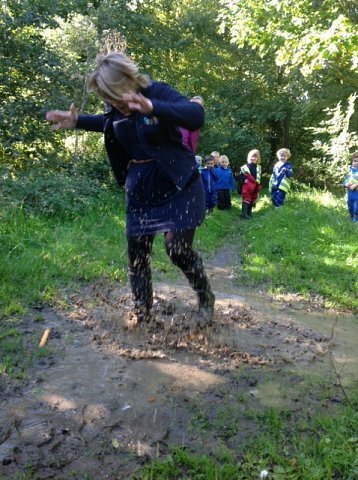 She leads Forest and Outdoor Learning activities throughout the week as well as offering specialist sessions during selected school holidays. 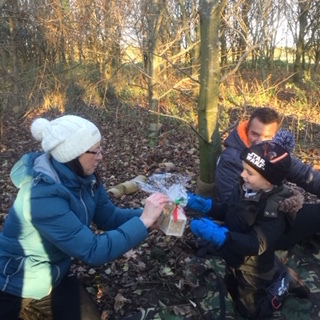 The activities which are offered include exploring the outdoor learning environment as well as learning essential skills such as; shelter building, fire building, harvesting and maintenance of the woodland environment, knots and cooking outdoors. 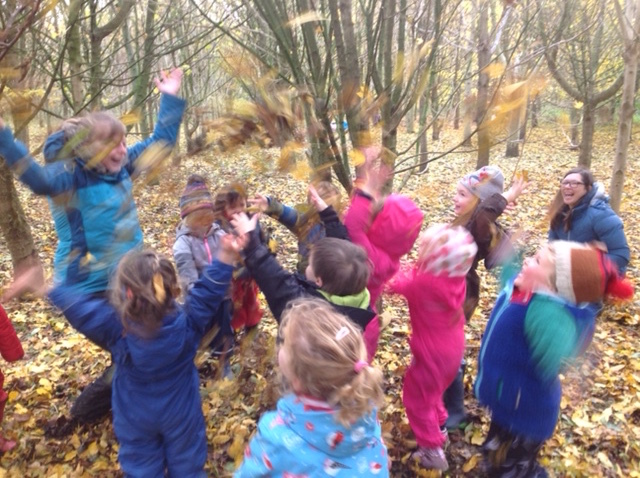 Everybody has fun at Forest Schools! 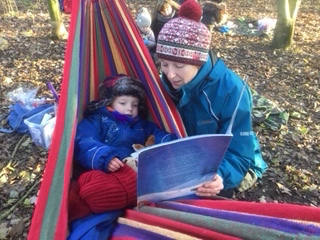 Circle time in the woodland. Magical tea parties and potion making! 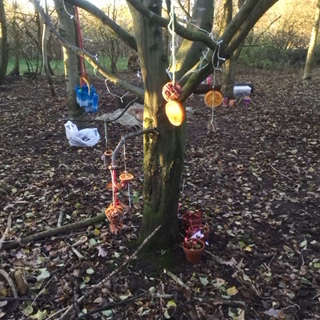 Beautiful Forest School Art Work. 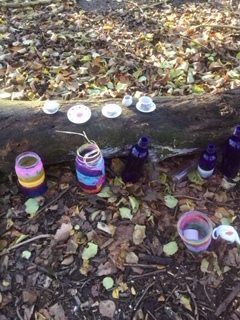 We have been busy creating Autumn pictures in the woods. 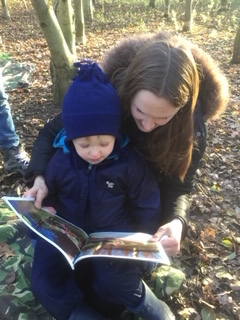 We invited our parents into the woodland to share stories with us. 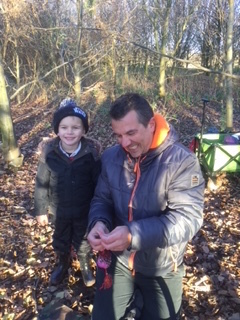 Exploring mathematics at Forest School. Look at our wonderful scales! 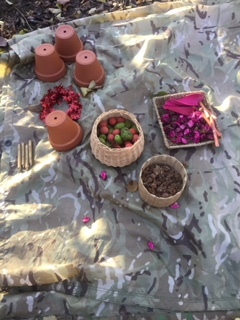 Group activities, what's inside the basket? 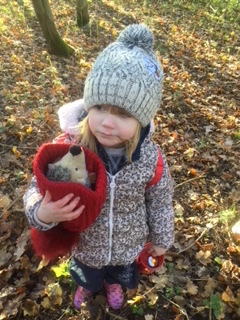 Keeping our friends warm in the woodland. There is always time for a song led by Aleysha! 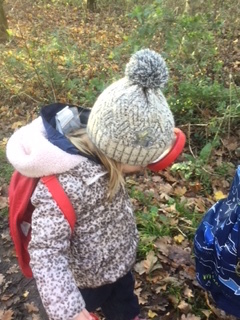 Aleysha's Forest School runs on a Friday Afternoon. 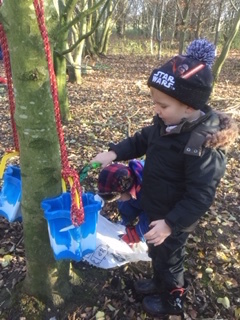 The sessions consist of dedicated Forest School activities held within a local woodland area.  The programme is designed to meet the needs of the individual children attending the setting. 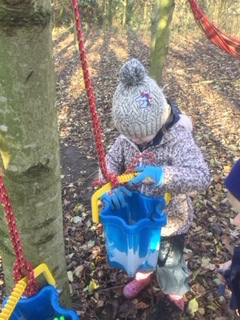 Staff use the children's learning journeys to identify next steps which can be achieved during the Forest School Programme. Identifying boundaries to promote behaviour. Working in partnership with one another. A healthy and active lifestyle. 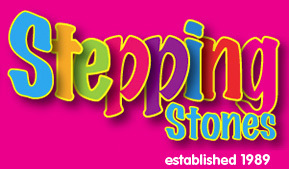 The sessions are exclusive to children attending Stepping Stones. The sessions run from 12:00 until 3:00 every Friday. When committing to the programme, children are booked in for a whole term at a time to enable them to benefit from this fantastic programme. Each session costs just £16.00. An invoice will be sent out before the beginning of each term, fees must be paid before the first day of term. Contact Aleysha at Stepping Stones for further information about this fantastic opportunity! 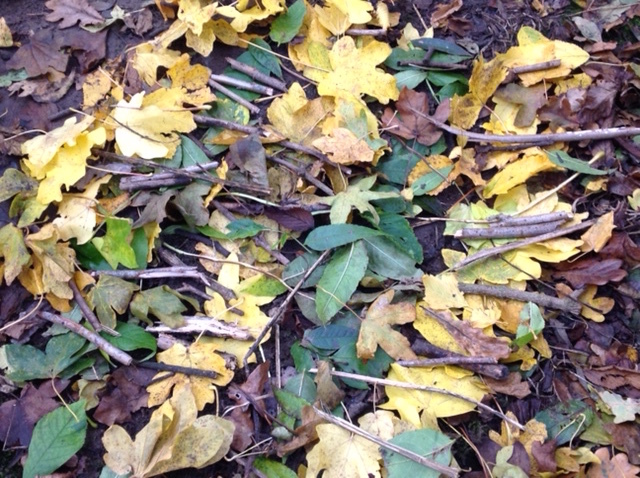 Don't forget to look out for our Forest School and Outdoor Learning days at the Summer Holiday Playscheme. Details can be found on our Holiday Club page. 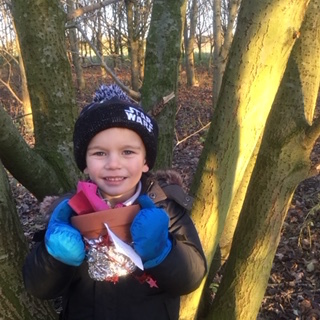 We made some fabulous tree decorations! 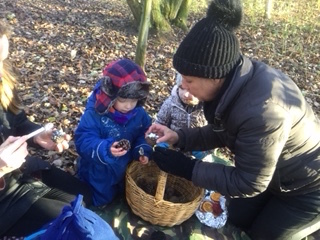 Parents stay and play at Forest School! We had lots of fun! 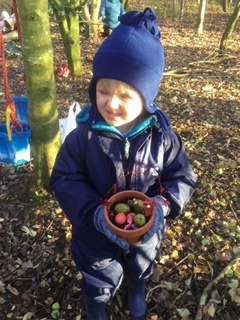 We love to use natural materials for our Forest School craft activities!